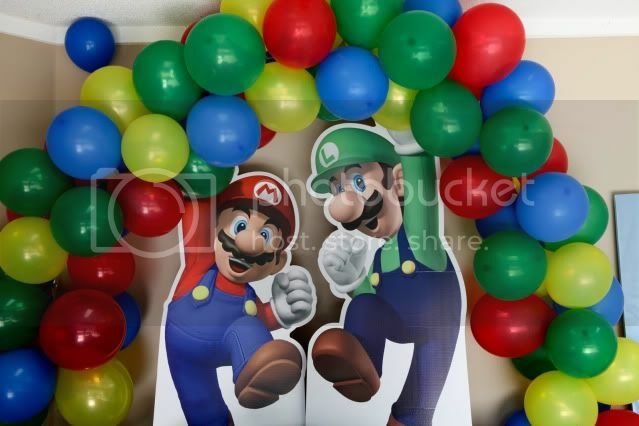 Kara's Party Ideas | Kids Birthday Party Themes: Super Mario Bros. Birthday Party! 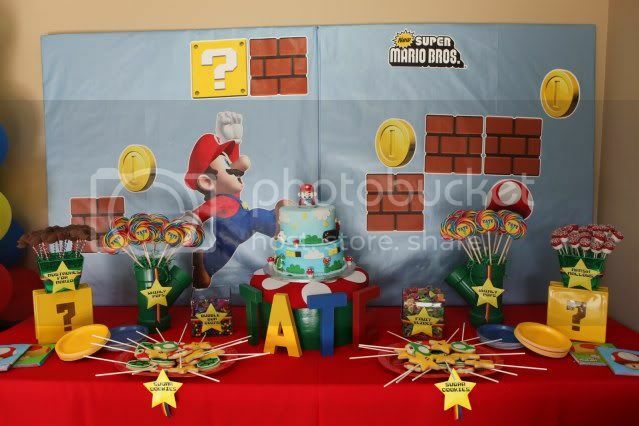 Kara's Party Ideas | Kids Birthday Party Themes: Super Mario Bros. Birthday Party! 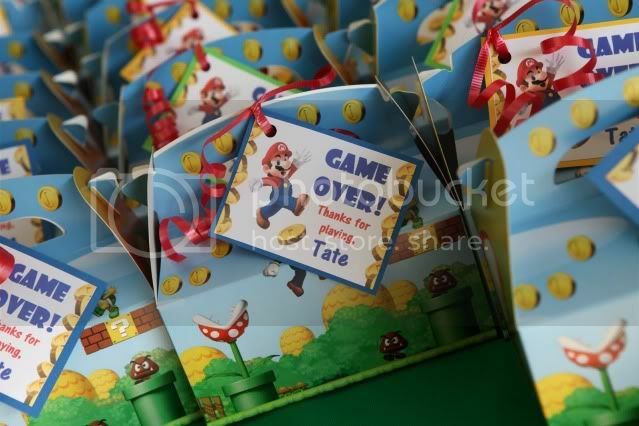 Super Mario Bros. Birthday Party! 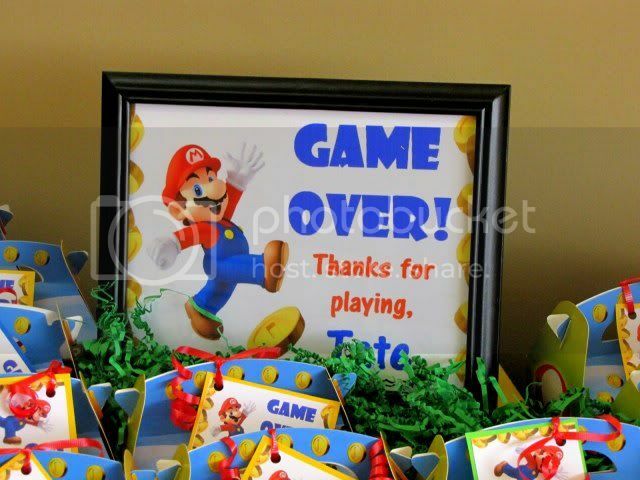 submitted by Grey Grey Designs! This party is fantastic! Brittany Did such a wonderful job!! 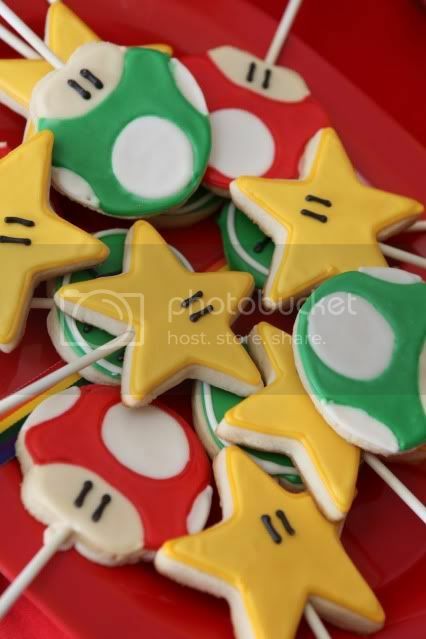 I love the Mario Mustache Pops! 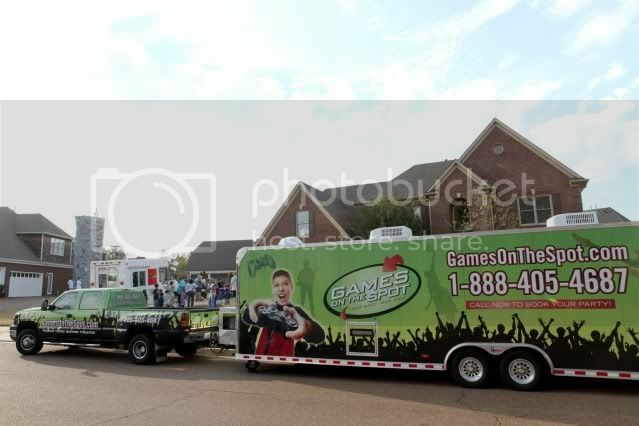 And how cool is that traveling "Game's On The Spot Trailer! Invitation by One Stop Invites. 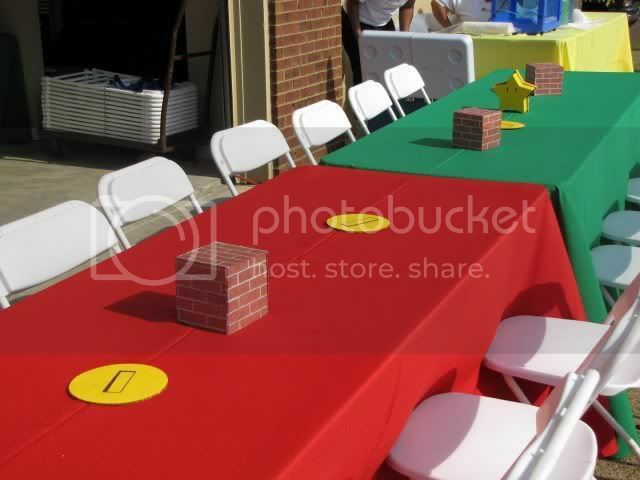 Mario & Luigi Standup's, Favor Boxes, Water Bottles, Napkins and Wall Decals from Birthday Express. Cookies from Whimsy Cookie Company. 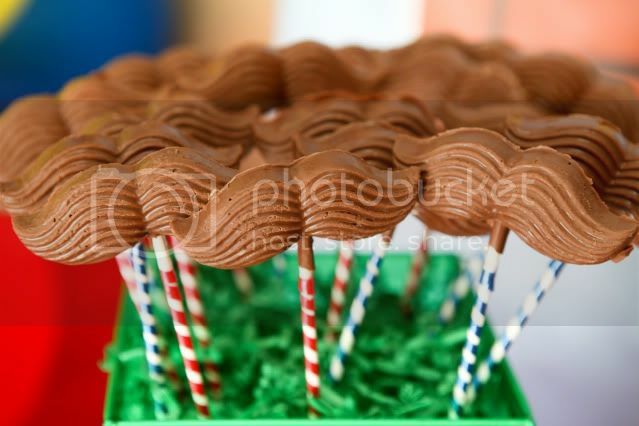 Supplies for Mustache Pops from Bake It Pretty. 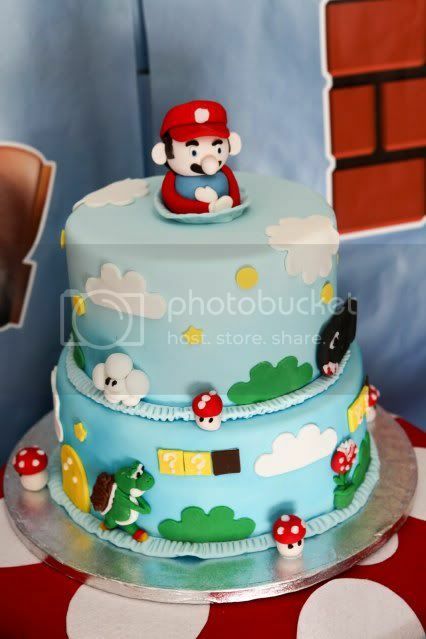 Cake made by Oh My Ganache Bakery. 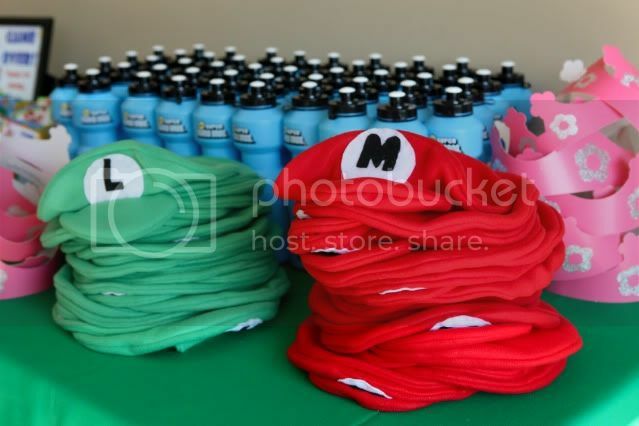 Felt Mario & Luigi hats from Markys Mommy. 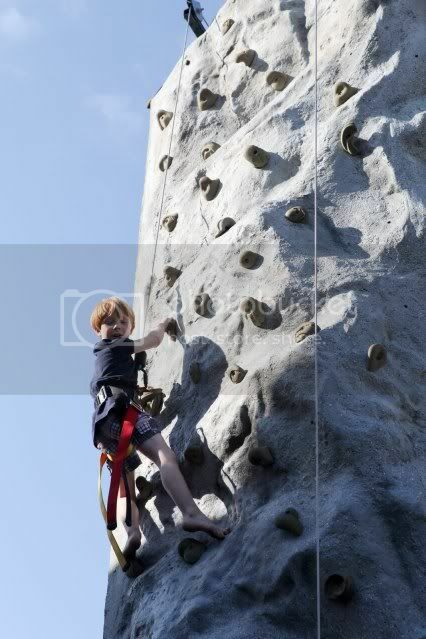 Photo's taken by J Herndon Photography. 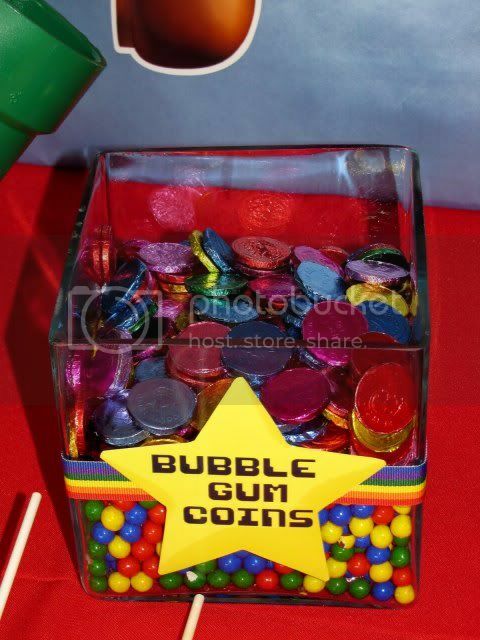 This is one of the best parties I have every seen on here. Amazing attention to detail. This is a commercial theme, but done in a super original way. I am really impressed. The painted pipe holders are a really smart detail. Can't wait to follow the links to see more. What a great party! 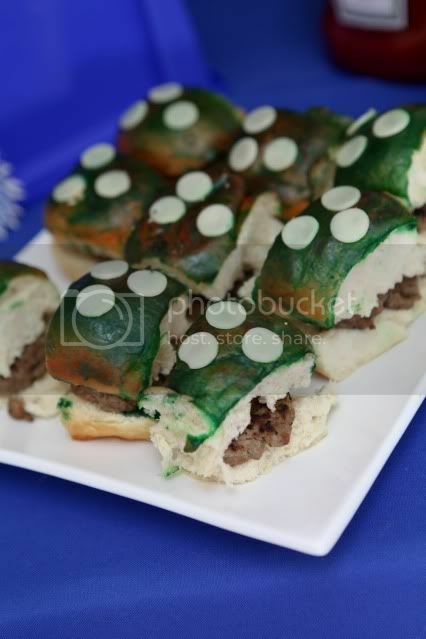 This is the best use of mustaches I've seen in a party...it's one of those things that makes you think 'Of course! Why didn't I think of that?"! 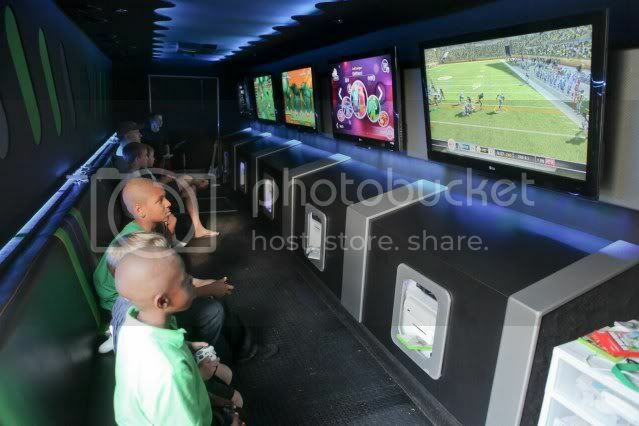 I'm also amazed at the gaming truck. 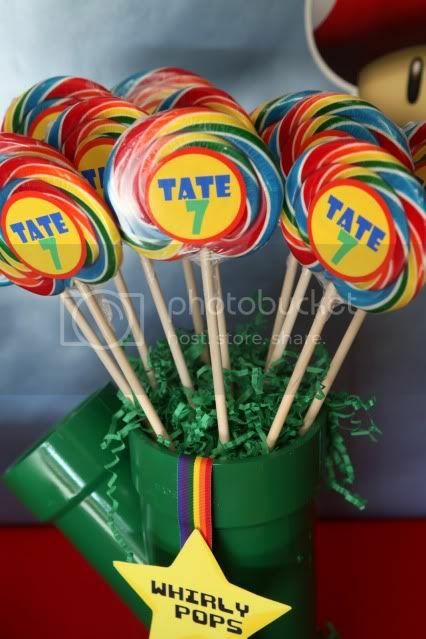 What little boy wouldn't want that? I love that. This one by far is my favorite. So creative!!!! So Awesome!! 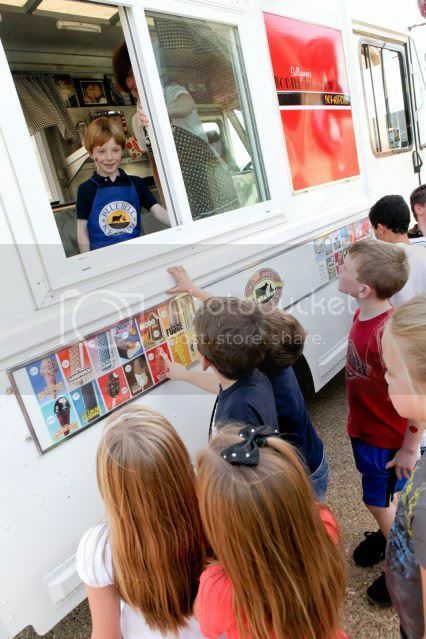 I desperately want to be at that party!! Probably the first party I've seen where I felt my heartbeat jump because it looks like so much fun. Great post. Thanks so much for the feature Kara!!!!! 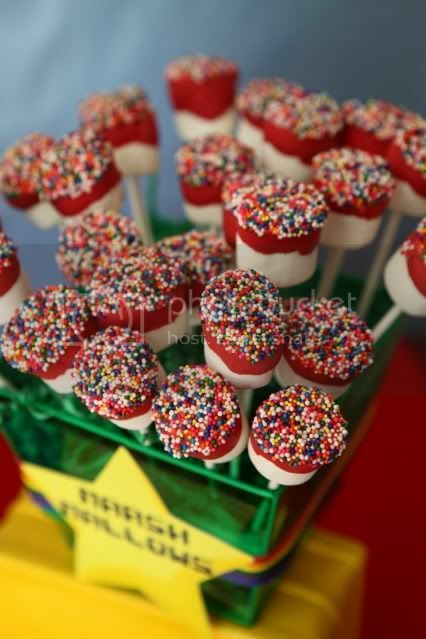 Such fantastic detail for this party! 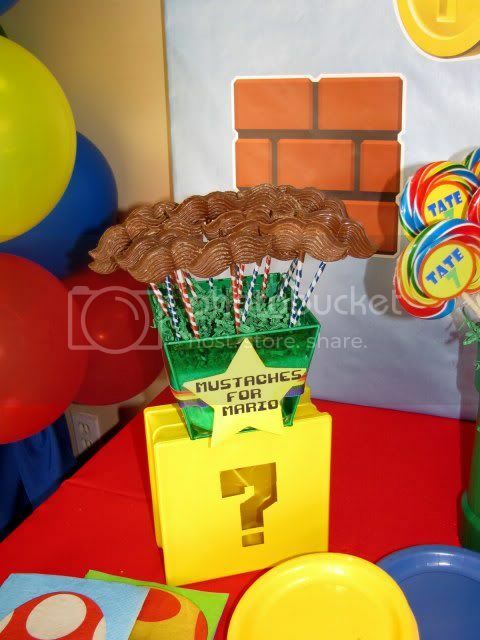 Even the table centerpiece looked like a set-up from the Super Mario game -- so clever. Kudos to all!